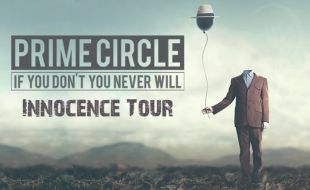 Since their debut in 2002, Prime Circle have been one of the most celebrated rock acts in South African history. The band has toured extensively, performing at several major international festivals over the course of their 17 year career, and have been honoured with numerous South African music awards and celebrated chart topping hits. Catch Ross Learmonth (vocals and guitar); Marco Gomes (bass); Dale Schnettler (drums); Neil Breytenbach (keyboard) and Dirk Bisschoff (guitar) live at The Barnyard Theatre.